Buyers interested in the iPhone 5c or the iPhone 5s may want to give Virgin Mobile another look. As we mentioned last week, the low-cost Sprint-owned carrier is offering the new models as of Tuesday, but they’re doing so at a cheaper price than you’ll find elsewhere. Virgin tends to sell phones for the full unlocked cost, but in this case it’s offering $100 off that unsubsidized price. That means if you’re looking for an iPhone 5s, you can pick one up for $550, $650, and $750 for 16GB, 32GB, or 64GB, respectively. An iPhone 5c, likewise, goes for $450 for 16GB and $550 for 32GB. All that on top of Virgin’s generally cheaper monthly plans, which start at $35, offer unlimited data and text messaging, and do not require a contract. Of course, Virgin is one of the smaller carriers in the U.S. and it relies on Sprint’s network, which is somewhat smaller than those offered by AT&T and Verizon. 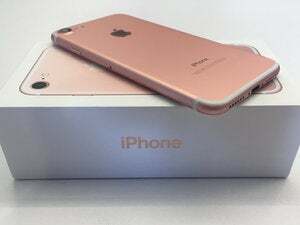 It’s also worth keeping in mind, however, that the Sprint version of the iPhone 5c and 5s used by Virgin are not compatible with AT&T, T-Mobile, or Verizon (though they do work with several smaller carriers), so your switching options are limited.